It begins with the Standards. Each one, like a drop of rain: functioning individually, yet, a part of a greater system. Independently, each drop is important; but collectively they can do wondrous things. 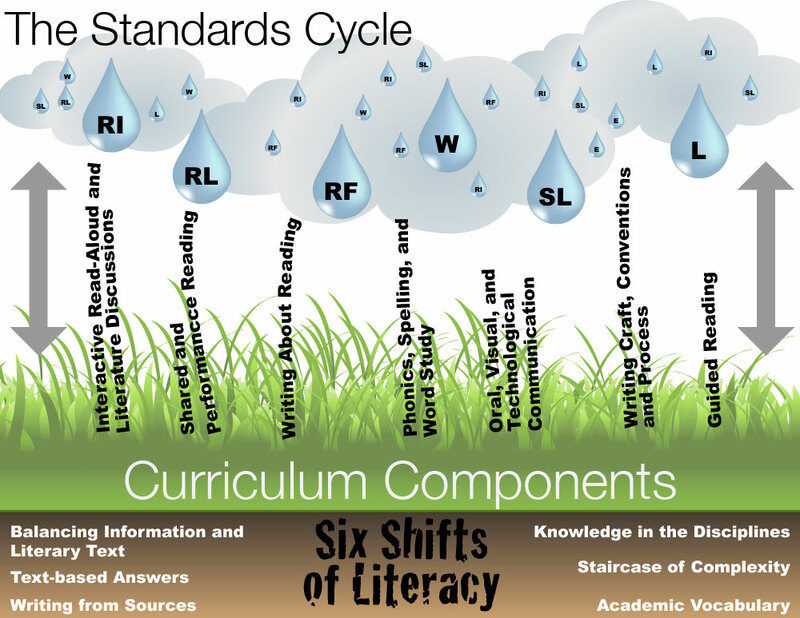 The Standards fall over everything in literacy, seeping deep into the groundwork of instructional pedagogy and serving to nourish each of the Six Instructional Shifts that educators must make. The Standards, along with the Shifts, help to develop specific, important curriculum components. These Components, in turn, provide avenues for student mastery of the Standards --the same Standards from which the cycle began. Download a print friendly version of this image here.